About Us — Dynasty Roofing, Inc.
After attending Abilene Christian University, Todd Knight began his career as an Estimator for his father-in-law’s roofing company in 1986. Ten years later, his entrepreneurs’ vision led him to begin a life-long dream of starting his own business. Founded in 1997, Dynasty Roofing started as a small business with a desire to “make a difference” by providing the most professional and trusted roofing services possible. Today, Dynasty Roofing, Inc. is a thriving and successful business throughout Dallas & Fort Worth. Our commitment to excellence has earned us the trust and confidence to be selected as a Certified Contractor for several major roofing manufacturers. 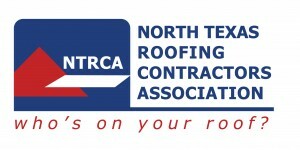 Additionally, we are an accredited member of the Better Business Bureau as well as member of the North Texas Roofing Contractors Association. Guided by Christian business values, Dynasty Roofing, Inc. is committed to supporting the sacrificial efforts of non-profit ministries who are improving the communities and lives of others. We look forward to earning your trust too! Committed to excellence in every aspect of our business, our ongoing education for our staff and crews has allowed us to be awarded "Certified Contractor" status for several roofing manufactures. We remain committed to continual training and education so that we can offer the most innovative and durable materials while providing the most satisfying experience for each of our valued customers.